Dr. Sheri brought tears, laughter, inspiration and motivation to the eyes, hearts and minds of the thousands of people who attended the convocation. 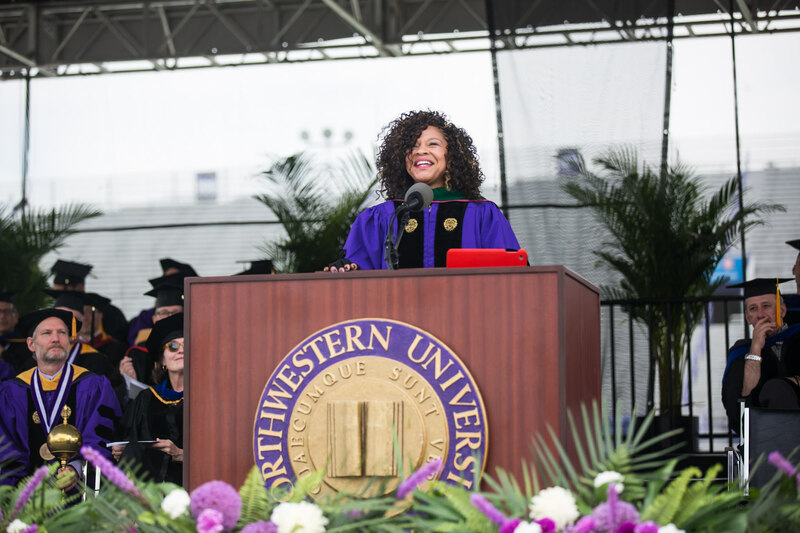 This internationally diverse audience included people of all ages, ethnicity, and nationality who traveled from nearly every continent to celebrate the graduation of nearly 1000 graduates from the Weinberg College of Arts and Sciences of Northwestern University. Dr. Sheri stated, “Returning to my alma mater 26 years later to deliver this keynote was indeed an unforgettable moment in my speaking career.” Her final remarks were acknowledged with an unprecedented standing ovation by all.